All vegetable oils are made up of 3 types of fatty acids in varying proportions: saturated, monounsaturated and polyunsaturated fats. Canola oil, like olive oil, is rich in monounsaturated fats. But unlike olive oil, it is also rich in polyunsaturated fats including omega-3 that are good for your cardiovascular health. Canola is a variety of rapeseed that was developed in Canada. In fact the word ‘canola’ is a neologism created by Canadian rapeseed farmers and is derived from “CANadian Oil, Low Acid”, as it refers to its low erucic acid content. 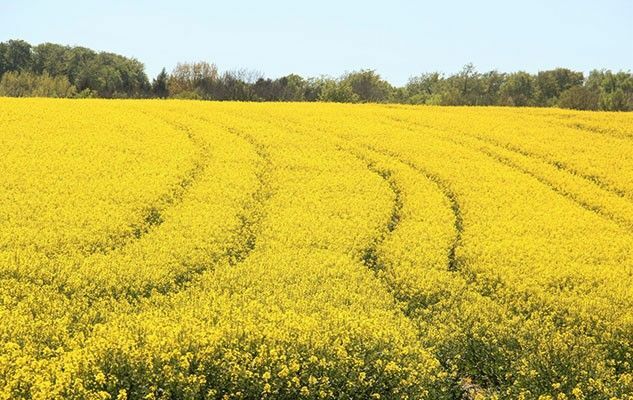 Almost all the canola oil that is sold in stores across North America is refined and comes from transgenic plants. The oils that are extracted form genetically modified canola are however not considered to be genetically modified organisms (GMO), because after the oil is extracted, the standard ingredients of GMOs no longer exist, or if they do, it is only in tiny quantities. Oil that is unrefined (natural) and not from transgenic plants is also available but it is obviously more expensive and should not be used when you are cooking at high temperatures, since its smoke point is quite low. The recipes in SOS Cuisine normally use canola oil for cooking and when a neutral taste is required. Otherwise olive oil is our preferred oil. « In the U.S., the pyramid is out, the plate is in, and Michelle Obama is all for it!